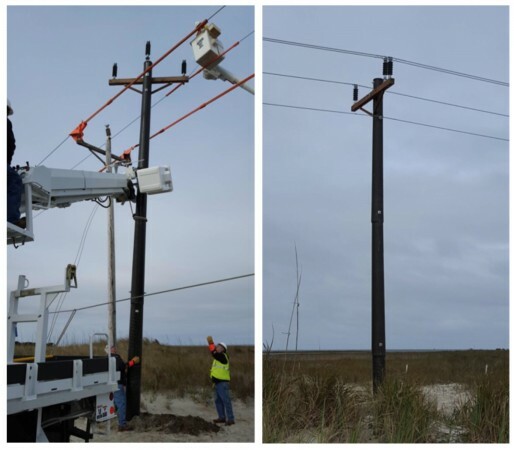 Tideland EMC installs the Intelli-Pole® at Ocracoke Island, NC on Wednesday, January 6, 2016. 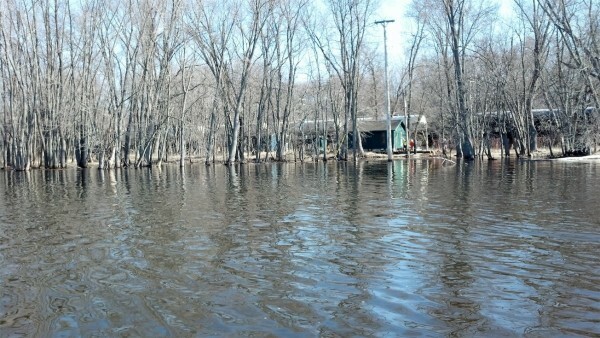 Highland Composites provided comprehensive installation support at the site. 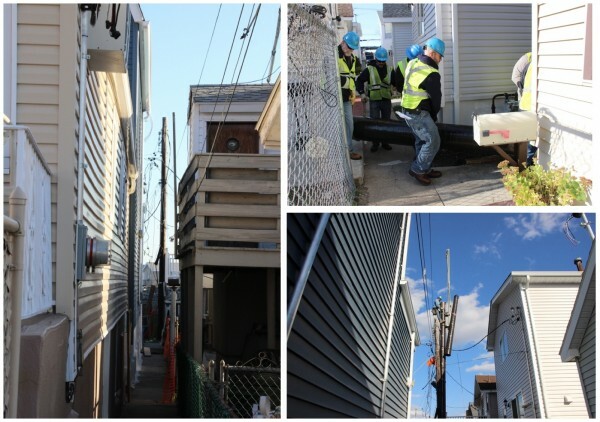 Con Edison installs the Intelli-Pole® in an urban back lot with only narrow alley access in the Throggs Neck neighborhood of Bronx, NY on Friday, November 13, 2015. 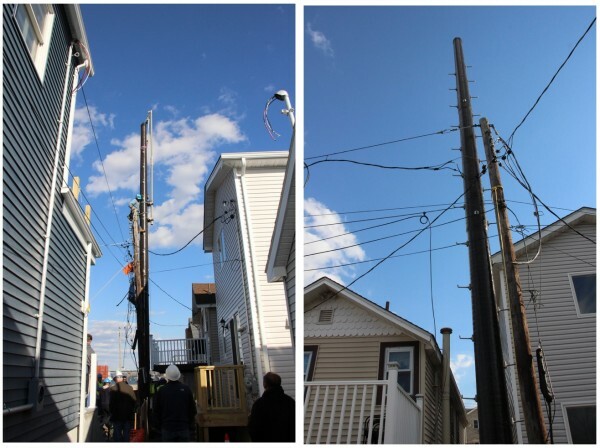 Photo courtesy of Con Edison. 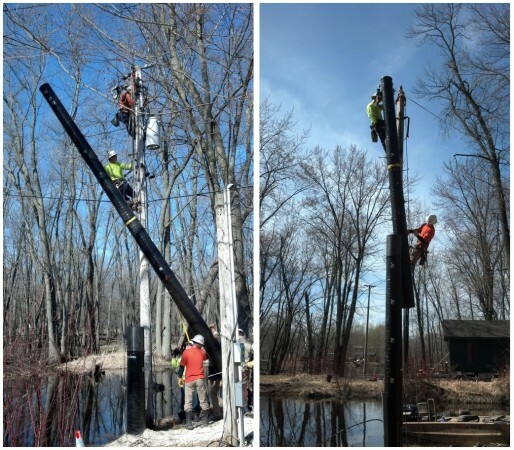 WE Energies installs the Intelli-Pole® on an island in the middle of the Wolf River near Gills Landing in Waupaca County, Wisconsin on Tuesday, April 14, 2015. The sectional design of the Intelli-Pole® allowed the pole, crew, and equipment to be transported to the island by work boat. 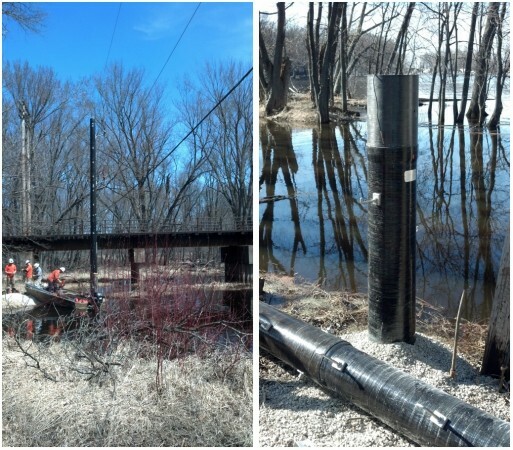 The Intelli-Pole® is environmentally inert and non-toxic to humans, plants, and wildlife — providing an excellent solution for ecologically sensitive sites such as this riverbank site on the Wolf River, which is part of a national protected fishery. The Intelli-Pole® is corrosion-free and rot-free without toxic preservatives or volatile organic compounds (VOCs) that can leach into soil and groundwater.